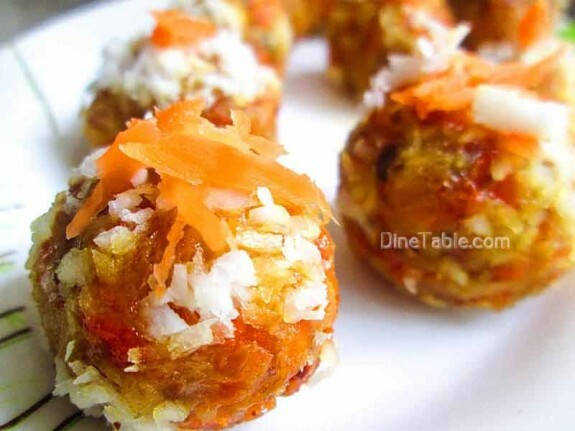 Carrot Coconut Balls is a popular sweet recipe that everyone will love. 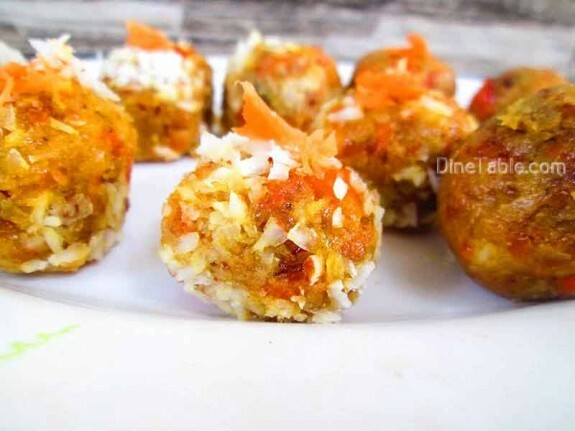 It is a delicious, rich and yummy sweet that can be prepared very quickly. It takes less effort to prepare and gives a better result. 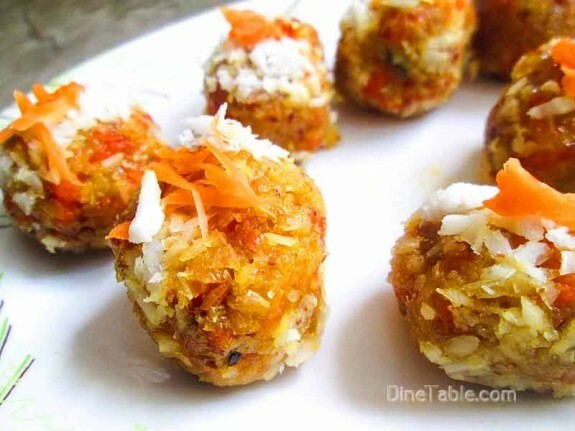 Tryout this mouth watering recipe at your home and enjoy with family and friends. 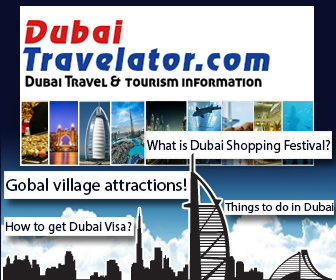 Carrots are the popular root vegetables with amazing nutritional properties. The health benefits of carrots include reduced cholesterol, prevention from heart attacks, warding off of certain cancers, improving vision and reducing the signs of premature aging. 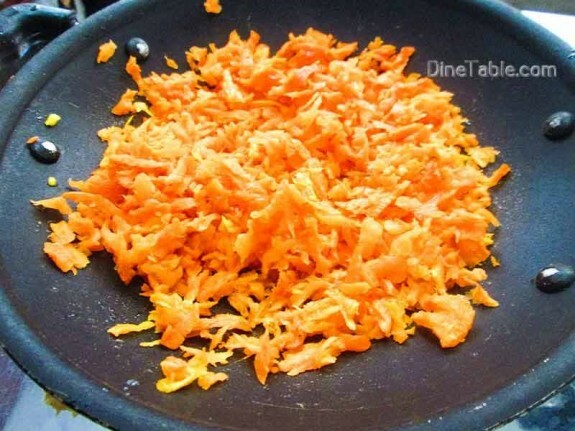 Wash carrots with water and peel off the outer skin. Grate the carrots. Heat 2 tbsp of ghee in a non stick pan and fry cashew nuts until golden and set aside. 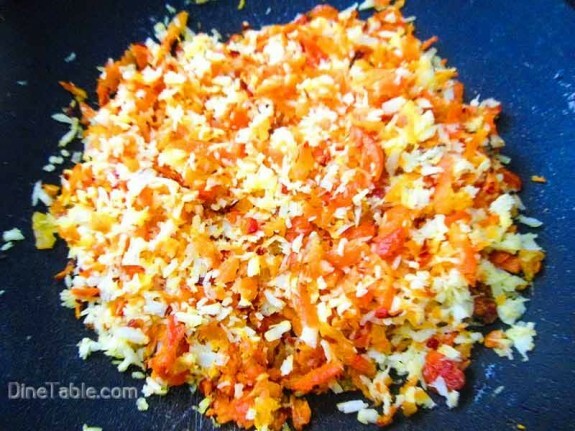 In the same ghee, add grated carrots and saute for 10 minutes on a low flame until it is soft and raw smell leaves. 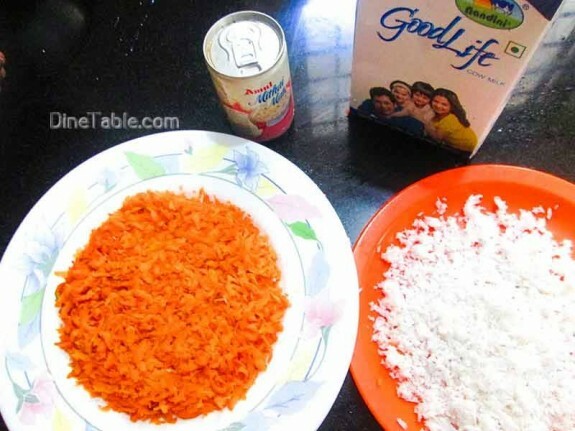 Add 1 cup of grated coconut and milk into it and cook for 5 minutes on a low flame. 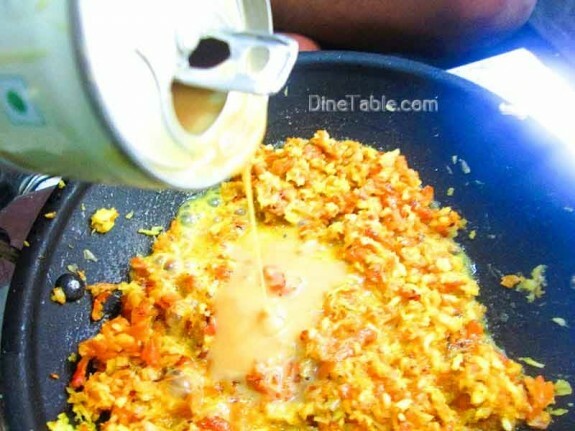 Add condensed milk to it and cook for 5 minutes until the condensed milk is absorbed. 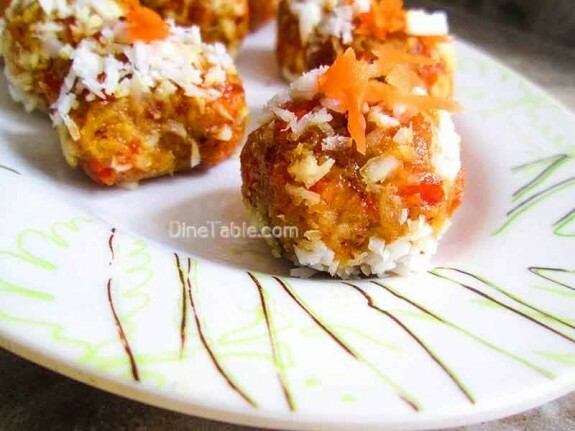 Add cardamom powder and fried cashew nuts into it and mix well. Switch off the flame. Allow this mixture to cool down. 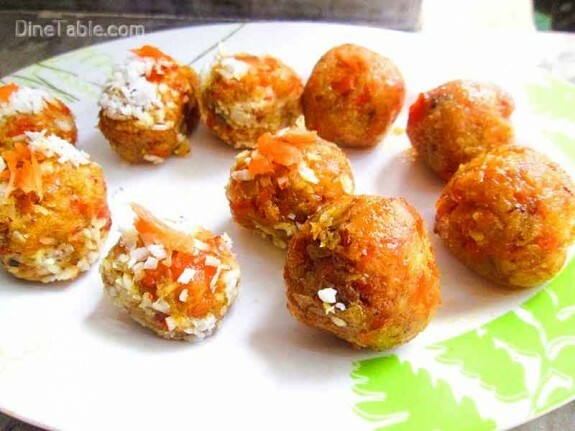 Take a small portion of the mixture and form a small ball with the palms of your hands. 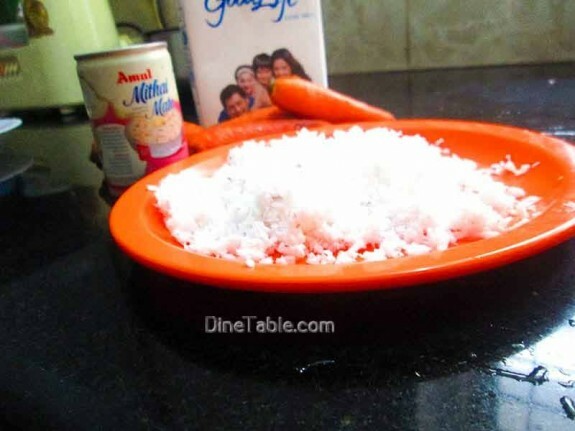 Spread 1/2 cup grated coconut in a plate. 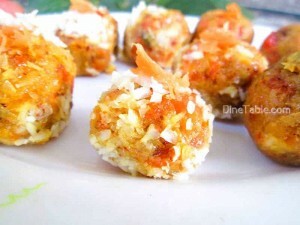 Roll the carrot balls in the coconut mix. 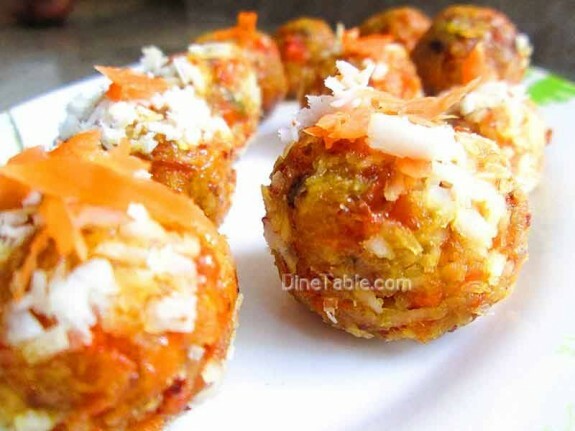 Yummy Carrot Coconut Balls are ready.